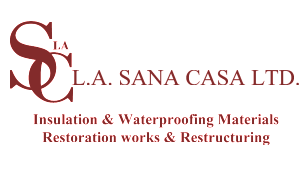 Contact La Sana Casa for all your Insulation, Damp Proofing & Waterproofing materials, Restoration works and Restructuring. Please complete and submit the form below and we'll get back to you as soon as we can. Please ensure that you fill in all relevant fields so we can deal with your enquiry as efficiently as possible. 43, Triq l-Ingilterra, Naxxar, Malta NXR 3227.